IT'S as easy as C-F-G7. They have struck a chord with thousands of people who love the idea of playing a ukulele. Three chords actually - as C, F and G7 are usually the first ones to be taught to a prospective ukulele player - and they're enough to "build a song around”, Doonan players Alex and Margie Tymson said. 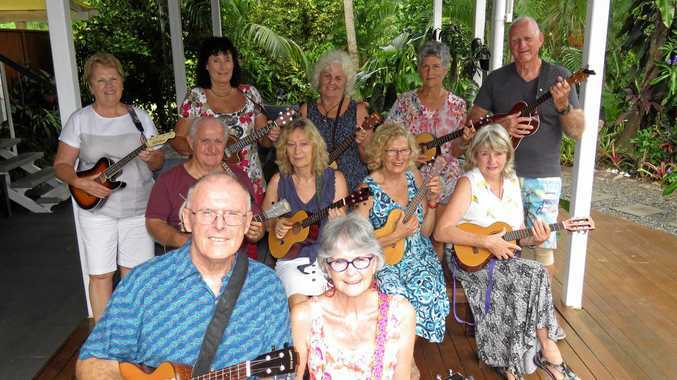 As about 1000 people get together in groups to prepare for the April 11-13 Sunshine Coast Ukulele Festival - the sixth such annual event - in Kenilworth, the pair last Wednesday gathered at their home with a few friends for a jam session. "We do it every Wednesday afternoon - six to 20 people, depending on who's around,” Mr Tymson said. All are members of the delightfully acronymed SCUM - Sunshine Coast Ukulele Masters - which started with six enthusiasts nine years ago to become 400 members today. "I wish they hadn't called it Masters, in Brisbane they're called BUMS but they're the 'Musicians' Society',” Mr Tymson said. The pair have attended and performed at every festival so far, which attracts players from the UK, US and other countries. 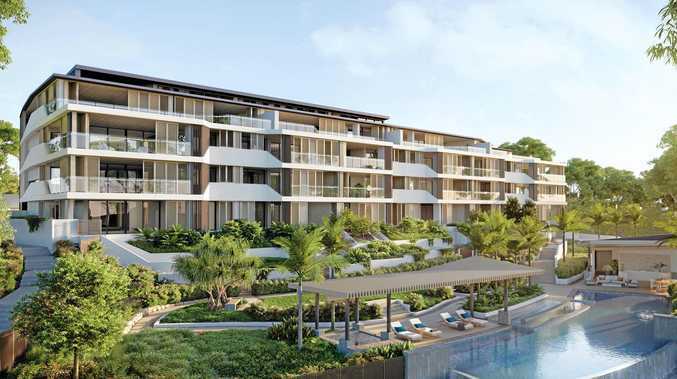 "It started in Deer Park in Imbil, moved to Kenilworth Hall and when we outgrew that it went to the circus showground at Kenilworth and has been there ever since,” Mr Tymson said. He said the instrument was easy to learn and it was "fantastic for older people, therapeutic for their mental and physical well-being”. "It's pretty easy to learn,” he said. You can choose from soprano, alto and tenor ukuleles, as well as baritone, which is tuned like a four- string guitar and is popular with many ex-guitarists. "The festival is to have fun, to learn and give people an opportunity,” Mr Tymson said. The festival's special event this year is a Mary Valley Rattler train ride to Gympie and back, playing ukuleles and singing all the way. Bring your tent or caravan for the event. For tickets and site bookings visit www.sun shinecoastukulelefest.com.